Long before the EU referendum, Eurosceptics and Europhiles used to disagree over whether there is such a thing as a ‘European demos’. Clearly not, Eurosceptics would say. Which sounds more natural to you: ‘we Brits’ or ‘we Europeans’? Nonsense, Europhiles would counter. In Europe, cultural differences between countries are no larger than within-country differences. Were it not for language barriers, we would not think of other parts of Europe as ‘abroad’. My take is that the Europhiles are right as far as everyday life is concerned. If we could switch languages like a DVD, there are plenty of European cities where we could move, and feel at home from day one. But what we do not have in Europe is a political community. We may watch the same TV series and listen to the same music, but political discourse can sometimes differ radically from country to country. Political discourse comes with unwritten rules, rituals, and social taboos, and these remain country-specific. Ideas that are part of the mainstream debate in one country can be considered completely beyond the pale in another country. When I moved from Berlin to London in 2007, I noticed this on two occasions. Firstly, before moving here, I had never seen people discuss the pros and cons of EU membership. Where I came from, that just would not happen. There, the EU is beyond argument. You can criticise aspects of it, but don’t you dare to question the EU at a more fundamental level, unless you enjoy being a social pariah. In this respect, political discourse in the UK is much more open and relaxed. But this is not true across the board. In at least one area, it is the other way around: healthcare. Where I come from, you can freely criticise the healthcare system, without fearing negative social repercussions. You can point out where it falls behind other systems. If you think that some other country has a better health system, you can openly say so. You can go so far as to call for the system’s abolition, and its replacement with something else. People may disagree with you, but this is not something that people would get worked up about. In 2007, I soon found out that that is not quite the way it works here. Apart from the general defensiveness about the NHS, I was particularly perplexed about how the idea of allowing some market mechanisms and/or private companies into healthcare seemed to freak everyone out. I’m not speaking as an economc liberal here, but simply as someone who was used to private, market-based healthcare. In the German system, healthcare is mostly private, and market-based, and there, even the far-left is more or less OK with that. The German system is not brilliant; it is not the alternative that I would recommend. There are better systems around. But the point is that it has nothing whatsoever in common with the Dickensian dystopia that is commonly associated with market-based healthcare. No, the poor are not left to die in the streets. No, people are not driven to ruin and despair by medical bills. No, healthcare facilities are not asset-stripped by hedge funds and fat cats. No, your ambulance will not drive past seven different hospitals until they reach the one your insurer has a preferential contract with. No, you don’t have to produce your credit card when you turn up at A&E. It is quite the opposite of the popular caricature: it is a system in which even homeless people can get health insurance, and more recently, it has managed to absorb huge numbers of destitute refugees. But, as Jonathan Haidt puts it: “Follow the sacredness, and around it is a ring of motivated ignorance.” Indeed, although when it comes to the NHS, that ring is more like the Waberlohe, the impenetrable ring of fire which encircles the sleeping Valkyrie in Wagner’s Die Walküre. Sacred values and social taboos have their uses; they are an essential part of the psychology of team-building. But sacralising a health system is dangerous. The NHS is not just a national team-building exercise. It is also an actual health system that treats actual people, and as I show in my new IEA monograph Universal healthcare without the NHS, it does not do that particularly well. The NHS lags behind the health systems of most other developed countries on most outcome measures, a finding which even the much-overhyped Commonwealth Fund study does not dispute. Ironically, insofar as the NHS has shown some improvement over the past fifteen years or so, it has done so thanks to reforms that went against its own founding ethos; reforms which the medical establishment and NHS ‘purists’ have fought bitterly. The monograph also looks at a few other health systems, challenging the lazy assumption that the only imaginable alternative to the NHS is the American system. The truth is that there are plenty of alternatives, and the monograph suggests a blending of the best elements of several of them. It also outlines a roadmap for reform, charting a way that could take us from where we are today to the preferred alternative without too much disruption. I’m not expecting to make many friends with this book. But since I’m in a festive spirit already, I decided to make life a bit easier for the Twittermob that normally comes out, wielding the virtual pitchforks, when I publish something on healthcare. Below is a selection of choice phrases which can be used to attack the publication – feel free to copy and paste as required. Enjoy. 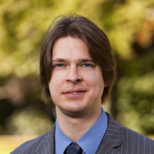 Dr Kristian Niemietz is the author of the IEA monograph ‘Universal healthcare without the NHS. Towards a patient-centred health system‘. I work in the NHS as a nurse, and I could agree with you more! Is so frustrating having to ration care due to the rigdit funding system we have! Dr. Niemietz, thank you for your interesting publication. I notice you did not mention the Singapore approach in your paper; is that because you were focused on the West, or is it insufficiently different from the countries you selected to highlight? I look forward to reading this Kristian. It may be that you address these issues in the book, but I have a short list of points I’d love to hear your thoughts on, if and when you have the time. Overall, and this is hopefully constructive criticism, you seem to put out a lot of ideas about improving healthcare in the U.K. (and I don’t disagree with them) but your pieces don’t often feature insight into the pitfalls your solutions may fall victim to (and do in other countries), with potential fixes. 1) Over investigation and over treatment. Private medicine in the UK already suffers from this, as do many other privatised health systems around the world. It is human nature to want “something to be done”, and this combined with the ability of a private provider to charge the state leads to over-intervention. If you are bound to nationally recognised guidelines (including what tests/treatments should not be offered), as is increasingly the case, it’s hard to see how much patient preference can have a significant effect on the market beyond doctor personality and decoration in the waiting room. If not, patients will surely flock to whoever will perform their whole body health scan, prescribe antibiotics for a cold etc, which will be detrimental both for physical health, mental health and the public purse. 2) This point is similar – patient preference over good clinical decisions. I agree care should be patient centred, but I disagree that healthcare professionals simply exist to do anything a patient wants. Sometimes, patients do really just need to lose weight – trying to give them a pill for something is a sticking plaster and will only encourage them to look for an intervention rather than make a lifestyle change. If a patient wishes to pay extra out of their own pocket for something that ultimately won’t do them any good, fine. But it shouldn’t be paid for by the state, nor should it be included in insurance schemes that will put up the premiums of others. Again, what you seem to be left with is either very regimented, nationally approved care (in which case, the argument for diversity of providers seems to get slimmer), or a much more expensive system as the state is forced to fund placebos for patients now playing the all powerful consumer. 4) Means-testing – isn’t this very frequently found to be more costly in the bureaucracy involved than efficient in what is saved? Isn’t this why even libertarian bodies are suggesting basic universal income rather than means-tested welfare? Given that everyone accesses healthcare at some time or other, how is this any different? 5) Finally, not a potential pitfall but a tactically obvious point: Despite all your criticisms, you admit that we don’t spend as much on healthcare as we do other countries. How do you answer the suggestion that we at least start by matching their funding levels with the current system, remove the ability of zealots to say “it’a desperately underfunded”, give it 10-20 years and then make the case on the basis of the results? Changing the system totally when we *are* arguably underspending on the NHS (even if most would recognise that many failings are not funding related) seems a very hard sell. A market failure in football?